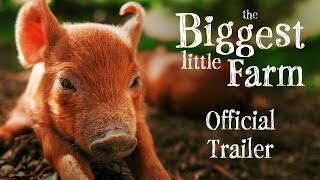 A testament to the immense complexity of nature, THE BIGGEST LITTLE FARM follows two dreamers and a dog on an odyssey to bring harmony to both their lives and the land. When faced with an eviction notice from their tiny LA apartment, John and Molly Chester make a choice that takes them out of the city and onto 200 acres in the foothills of Ventura County. The land they’ve chosen, however, creates years of daunting work, and an unforeseen test of their ideals and their ultimate dream: a biodiverse farm that exists in complete balance with the natural world. This screening is co-presented by Ironbound Hard Cider.